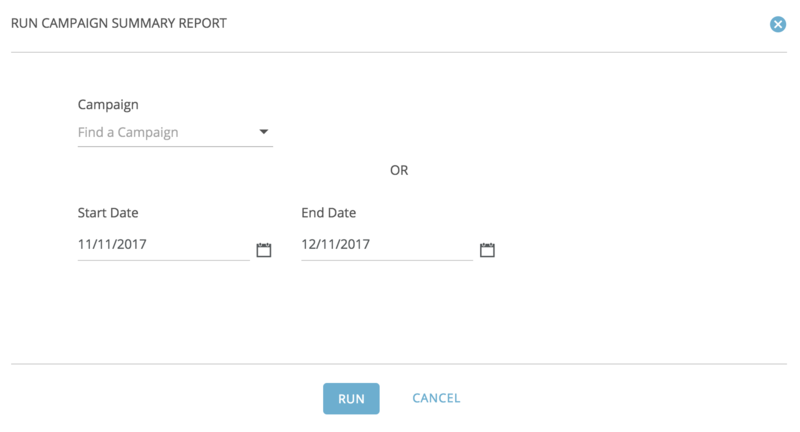 What is the Campaign Summary Report? The Campaign Summary Report provides data on funds raised for a specific Campaign or for all Campaigns within a specified period of time. 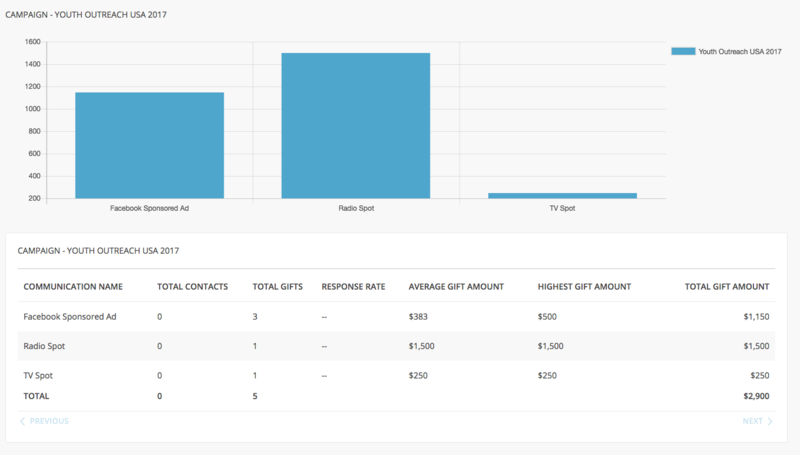 The summary-level data provides a breakdown of funds raised by Communication. To see detailed information that drills down to the Segment level, select the Campaign Giving report instead. The data included in this report can help fundraisers understand which Communications and/or Channels may be most effective, and provide benchmarks for setting future fundraising goals.